Some say Christmas is about family, Jesus or presents – I say it’s about all that glorious food. 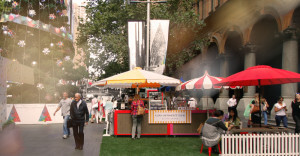 A tempting pop-up dessert bar has sprung into existence next to the giant Christmas tree in Martin Place (because I’m not going to be eating enough over Christmas). Indulge your taste buds with some late night gelato, cakes, coffee and cold bevvies as you take in the Christmas cheer and maybe catch some carols. If you come in the morning you can grab some savoury brunch options and even snap a photo of the life-size sleigh made of Lego. This exciting new exhibition celebrates all things Hunger Games. If you consider yourself a fan of the films or the books then this is one event you might want to volunteer as tribute for. It is an in-depth exploration of the art, science, pageantry and history of the world of Panem where you can witness first-hand all the iconic costumes, props and set recreations that brought this world to life. With plenty of hands-on interactivities, you can dive into behind-the-scenes content and discover a whole new side of the stories that took the world by storm. 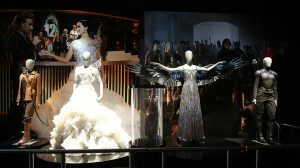 Some highlights include set recreations of District 12, District 13, The Capital and The Tribute Train, as well as the fire costumes worn by Katniss and Peeta on set. Spiders Alive and Deadly is an exhibition dedicated to our adorable little eight legged critters (or fearsome creatures of nightmares, depending on how you look at it). 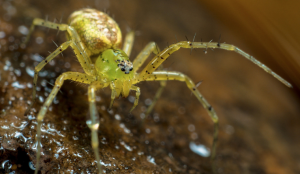 This is one exhibition that isn’t for the arachnophobes out there but if you are brave enough you can delve into the secret world of spiders from how they hunt, to how they have adapted to changing environments and how they play a critical role in our ecosystem. There will be over 400 real specimens to see, including 30 alive and deadly spiders such as the funnel web, red back and tarantula. There will also be live venom milkings every day and a cobweb room where you can watch Golden Orb Spiders spin their magic. Perhaps spiders aren’t your thing; that is totally fine because there are plenty of other great shows you can watch this week instead. One of them is Circus 1903 which is a team up between the producers of the world’s biggest magic show, The Illusionists and the award winning puppeteers from War Horse to present a thrilling turn of the century circus spectacular. Amazing puppetry will place giant artificial elephants alongside a huge cast of unique and dangerous circus acts from strong men to contortionists, acrobats to musicians, knife throwers, high wire and much more. For the first time, Altitude Restaurant is opening its doors for lunch in celebration of the Christmas season. There is nothing quite like enjoying a lavish meal 36 levels above the Rocks with panoramic views. 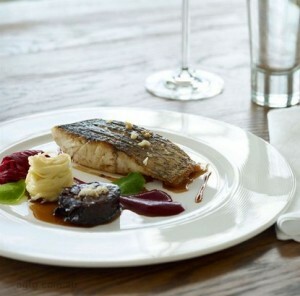 Savour a sumptuous three course lunch while relishing the spectacular views of the sparkling harbour in pure daylight. The menu has been specially created by Chef de Cuisine Ricardo Dias Ferreira and features the freshest produce of the season. The dishes will be enhanced by matched wines thoughtfully selected by Altitude’s Executive Sommelier, John MacKinnon.